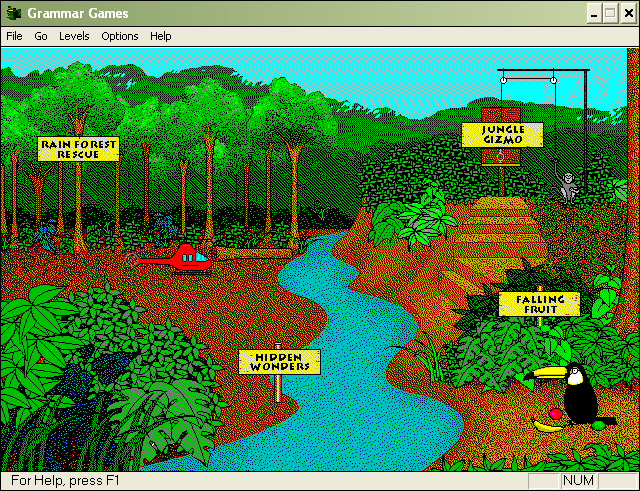 Back when computers were slow, bulky, and taupe, I played this rainforest game with a toucan and red helicopter. I recently googled this game and discovered it is called Grammar Games; I was surprised my library owned a copy so I checked it out. So.much.nostalgia. Looking at the graphics and comparing them to PC games today, it seems so primitive. Nonetheless, it was fun playing the mini games I played when I was little, granted most of the time I unknowingly was hacking the keys. Grammar Games, created by Davison & Associates Inc. in 1995, is divided into four mini games—Rainforest Rescue, Falling Fruit, Hidden Wonders, and Jungle Gizmo—each focusing on a particular aspect of English grammar. 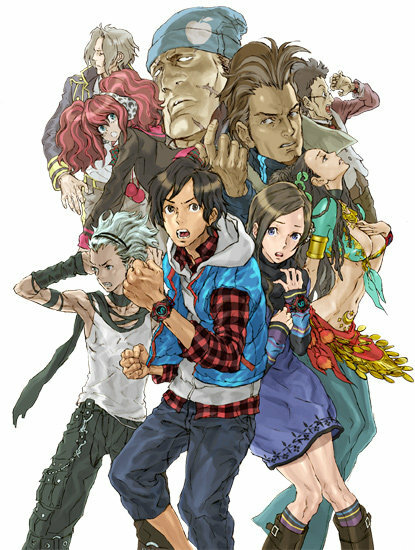 There are three levels to each game that the player can adjust by going to the menu bar. This game can still be played on Windows XP, and is a great game for children 10 and up (according to the box) and for ESL students.